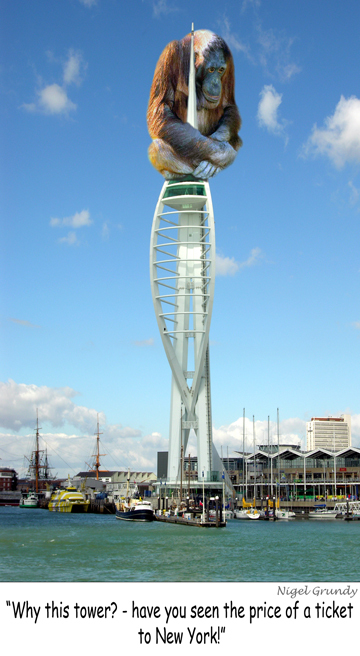 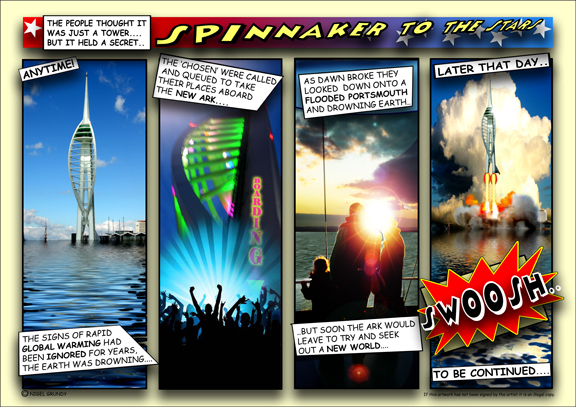 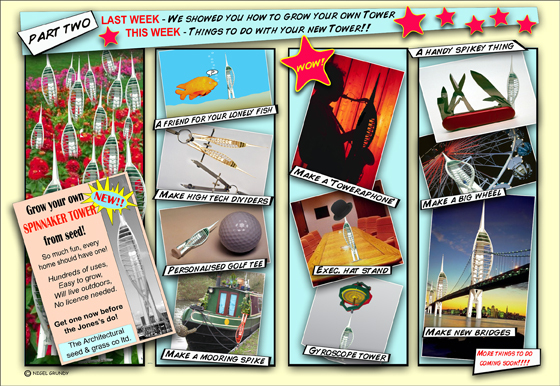 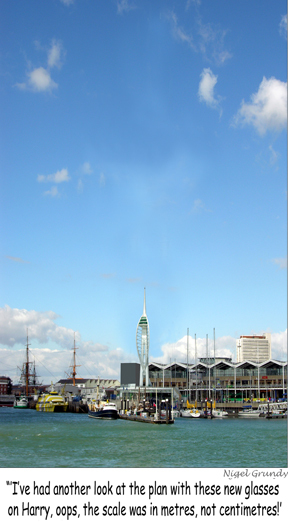 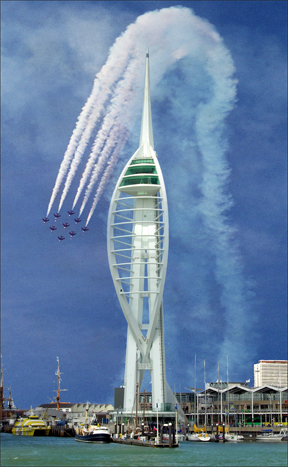 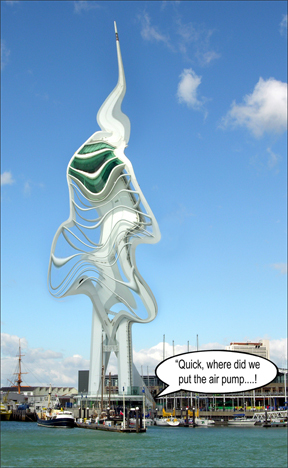 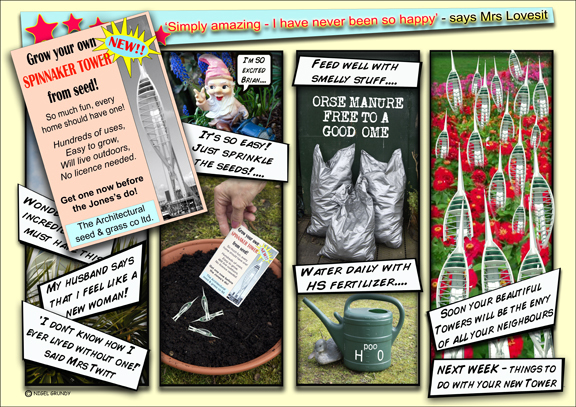 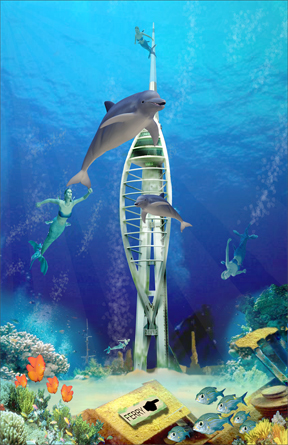 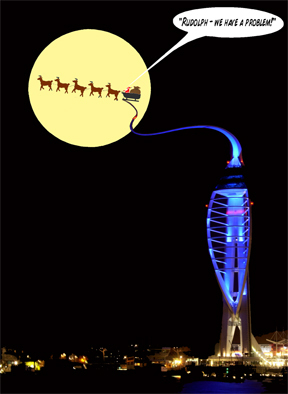 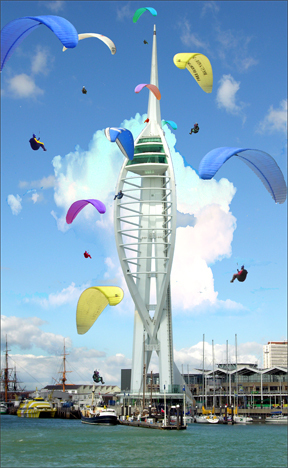 Some of my graphics have been inspired by the Spinnaker Tower at Gun Wharf, Portsmouth. 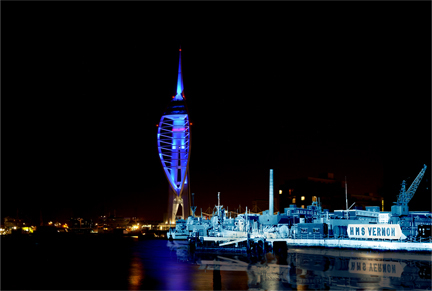 the naval establishment that originally occupied the site of the Gun Wharf shopping complex. 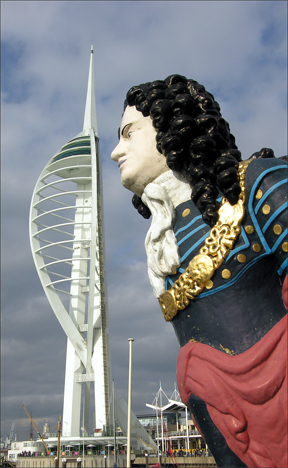 '....and when the giant peered in he could see lots of little people'.